Winter is coming. No more warm blue skies, no more lush green grass. No more wearing shorts and polo tshirts. For most people, this is when golf season stops. They just pack it up, and hibernate until the temperature rises again. Maybe practice some putting inside the warmth and comfort of their home. But, that’s not you, is it? You golf all seasons — rain, shine, or blizzard. As long as the course is open, you’ll be there! For those of you brave enough to venture onto the course in the middle of winter, we have compiled a list of best cold weather golf gear to wear while you play. If you are playing golf during winter then you should skip on riding the golf cart and walk the course. Unless your golf cart is heated, of course. Walking is a simple way to help get your blood pumping, and keep yours muscles warm and loose during the round. You should also take plenty of the time to stretch well before your round starts. When your body is cold, it is much more likely you will pull a muscle. It is simple physics at work here. A golf ball will travel less distance under colder climates. Research conducted showed that for every 10 degrees (Farenheit) drop in temperature, a golf ball travelled 3 to 5 yards less when also taking into account the higher air density. It may be difficult to keep your balls warm the whole round (both types), so consider using a lower compression golf ball for more distance. Also, consider clubbing up to compensate for the loss in distance (i.e. use a 7 iron instead of an 8). Check out our picks for the best cold weather golf ball here! You need clothes that will keep you warm, but not hinder your movement or swing. 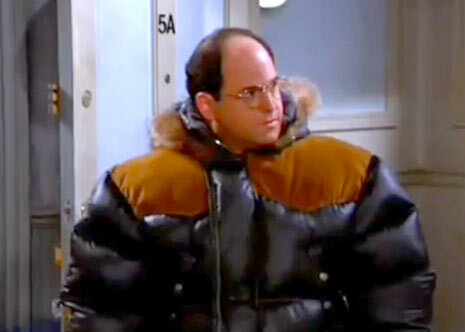 Traditional bulky, heavy winter clothes are out of the question. Luckily for you, there are some winter-specific golf apparel on the market today that will help keep your body warm without limiting mobility. Below are five of our picks for the best cold weather golf gear in the market today. This 100% polyester training top from Adidas is lightweight, comfortable and is one of the best when it comes to maintaining body temperature from dropping too low. It is extremely comfortable to wear and does not hinder your movement at all. Playing golf means that you need to have absolute freedom in terms of upper body movement and the Adidas A74 allows you complete maneuverability while also protecting you from colder temperatures. It is perfect for those cool autumn days, and brisk mornings. Note that it is not waterproof, so if it rains, you will need to wear another layer on top. Available for just $30 (on Amazon), this Adidas top is also of excellent value when compared to other top brands. Pros: Lightweight, comfortable and affordable. Cons: May fit a bit large for some people. 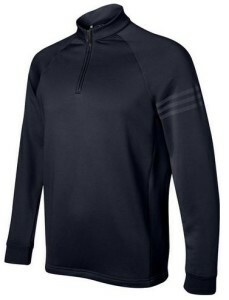 Buy the Adidas Golf A74 Performance Training Top here! 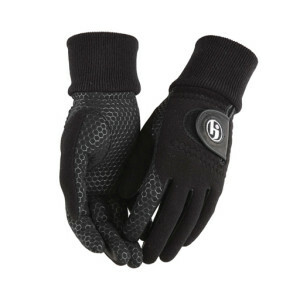 HJ Glove’s Winter Xtreme Pair golf gloves are designed for extremely cold conditions. The triple layer design features a weatherproof membrane between two layers warm fleece. Your hands will be warm even in temperatures close to freezing. The extra long cuffs provide added warmth and comfort around your wrists where wind and cold air usually slips in. These gloves are very warm, but not too bulky. You will have full dexterity in your hands and a strong grip well thanks to the honeycomb silicone grip design. These gloves have a velcro closure and comes in six sizes from small to XXL, so you will be sure to have a pair that fits snugly. Cons: Not waterproof; if you often play in wet conditions check out the Nike All Weather II Gloves. Buy the HJ Winter Xtreme Golf Gloves here! If you ever play in the rain — or even the snow for you extra crazy ones — then you will need a waterproof outer layer like the Hyperadapt from Nike. This is easily one of the best golf jackets on the market today. The ‘Storm-FIT’ fabric is made of a combination of microfiber polyester and breathable laminate material to ensure you stay warm in cold, wet, and windy conditions. For golfers, the best part of this jacket design though, is that it does not hinder your movements. The four-way stretch material around the shoulders ensures that you have full range of motion when you swing. If you can get over the $100+ price tag, then this is a must have for any all-weather golfer. Pros: All weather proof. Flexibility. It gives you your full range of motion so as to not affect your swing. 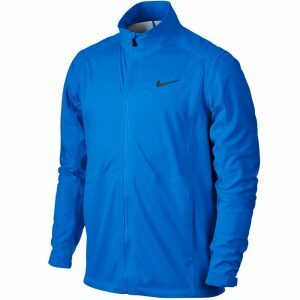 Buy the Nike Storm Fit Hyperadapt Golf Jacket here! Keep your head and ears warm with this comfy winter hat from Titleist. Honestly, any good winter hat would do, but this is from a golf brand so we put it on this list. It is made from 100% acrylic fiber, is one size-fits-all, and has a funny pom pom on the top. This hat is offered in three colors — black/grey; black/red; grey/black — so you can pick whichever one suits your style. Overall, this is just a solid, high quality winter hat. If you like the Titleist brand, you should definitely pick this up. 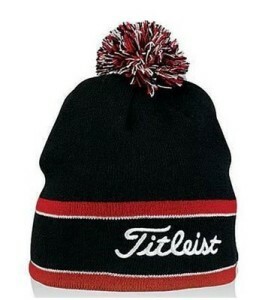 Buy the Titleist Winter Golf Hat here! One of the worst things about playing in cold weather is cold balls. And, we’re not just talking about golf balls. Yes, you know what we mean. Since we have already given our picks of the best cold weather golf gear for your upper body, hands and head….let us finish up with the best golf pants for cold weather. The ColdGear Infrared Golf Pants from Under Armour are specifically design to help keep your lower body’s temperature nice and warm while you play. These pants are water repellent, windproof, but still breathable, so you can stay dry on the inside and out. The inside of the pants are soft and comfortable to wear. It also makes use of Under Armour’s signature sweat wicking technology to keep you cool. 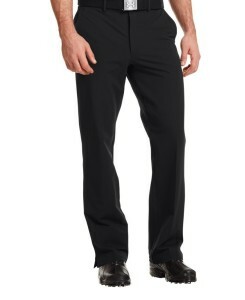 The pants are made with flexible/stretchable material to allow for maximum mobility and comfort. If you don’t want to freeze your balls off on a cold winter day, then these are the trousers you want to be wearing. Buy the UA ColdGear Infrared Golf Pants here! For extra warmth, consider wearing a compression base layer, like this top/bottom set from Tesla (Korean company). You will see many PGA pros wearing a base layer in colder weather, so why shouldn’t you? Often, people just wear the top, but there is nothing wrong with some extra warmth for your lower regions as well. The fabric for these compression clothing stretch and move with your body, so they will not restrict your swing in any way. This base layer set from Tesla is a great budget option, but there are many big brands which offer similar compression base layers, most notably Under Armour, Nike, and Adidas. They are all more or less the same, so the choice really depends on your personal style/brand preference. 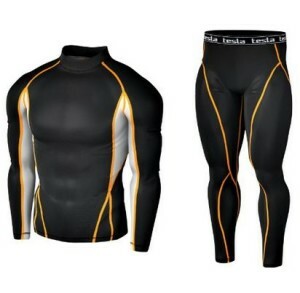 Buy the Tesla Compression Base Layer Set here! Winter may be arriving but that doesn’t mean you need to put your clubs into storage for the season. By following some simple guidelines as well as being equipped with the best cold weather golf gear, you will be able to enjoy playing golf outdoors even with the lower temperatures! 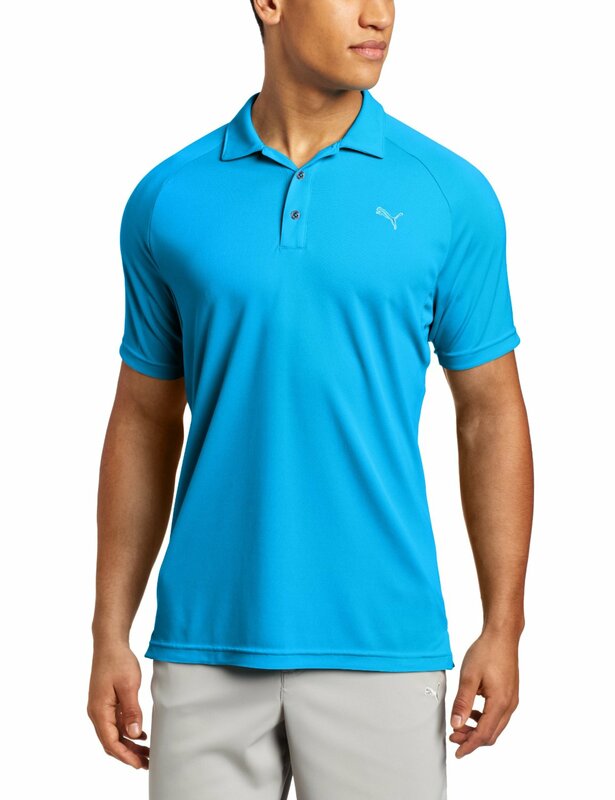 Best Golf Shirts for Men What are the Best Golf Pants? What are the Best Golf Shorts? The Best Golf Rain Gear – Stay Dry! ‹ What are the Best Golf Tees? 1 Pings/Trackbacks for "The Best Cold Weather Golf Gear"